Want to light up your community & rock it like never before? then make a Menorah Parade. 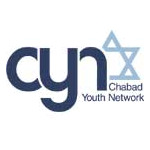 Chabad Youth Network is here to help you make it happen & we have all the equipment. What does a Menorah Parade include? personalize your own signs saying happy Chanukah from…..